Dan Henderson knocked out Michael Bisping at UFC 100. Seven years later, they will meet again, this time for the UFC middleweight title. UFC 204: Bisping vs. Henderson 2 is scheduled to take place at the Manchester Arena. Interestingly enough, the main event will happen at approximately 5 a.m. local time to accommodate the North American pay-per-view audience. The Manchester-native Bisping (29-7) won the middleweight title in June when he knocked out Luke Rockhold in the first round. 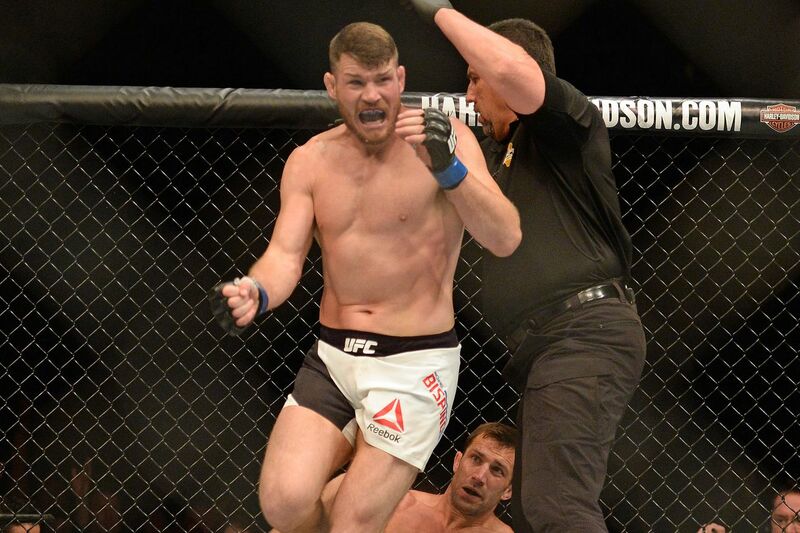 The win marked Bisping’s fourth in a row, but more importantly, capped one of the unlikeliest title victories in recent MMA history, considering Bisping accepted the fight on a little over two weeks’ notice and had seen the UFC title shot elude him for a decade. On that same UFC 199 card, Henderson (32-7), who has never won a UFC title throughout his legendary career, knocked out Hector Lombard in the second round. Of course, the fight promotion will revolve around a feud that was born in 2009 when both men were coaches on “The Ultimate Fighter” season nine. Months after taping the show, the middleweights met at the historic UFC 100 event, where Henderson knocked out Bisping in the second round. The promotion is expected to officially announce the fight in the coming days, with a pre-fight press conference scheduled for the day before UFC 202 in Las Vegas.